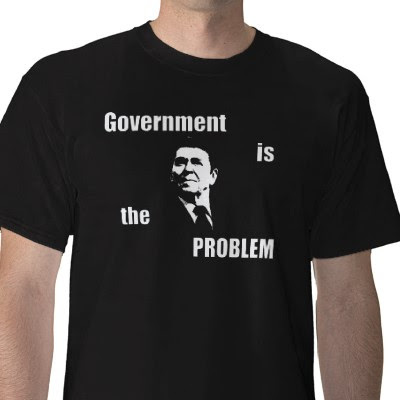 Ever since Ronald Reagan declared that “government is the problem, not the solution”, the Republican Party has slowly devolved from being a conservative governing party to an anti-government party. This devolution has nearly reached its zenith with the rise of the “tea party” protestors now taking control of the party. Just witness the spectacle in the 23rd Congressional District in New York where Republican Party candidate Dede Scozzafava is being blindsided by the teapartiers because she is deemed too “liberal.” The teapartiers are throwing their support to a third party candidate, Conservative Party nominee Doug Hoffman, knowing full well this could mean that the Democratic candidate could wind up winning in a traditionally Republican district. But they don’t care because they just want to make an ideological point and besides, they aren’t interested in governing anyway. When Hoffman was recently questioned about local issues by the editorial board for one of the largest newspapers in the district, he demonstrated that he had no clue, no care and no concern for what was happening locally. His whole point in running for Congress is to represent a national anti-government agenda. Witness too the unprecedented level of obstructionism currently underway in the U.S. Senate where Republicans are blocking nearly every one of President Obama’s judicial picks and many of his nominees for important positions in the administration. It is almost as if the Republicans WANT the government to be dysfunctional. They are doing everything they can to make sure that the government cannot operate effectively and efficiently. We are in the midst of a healthcare crisis over swine flu and Republicans have held up confirmation of Obama’s Surgeon General nominee for months. The core philosophy of the Tea Party protesters, such that there is, is essentially radical anarchism. They are anti-anything that has to do with the government (unless it benefits them directly). Needless to say, this is not good for the long-term health of our country or our democracy. The movement is being supported by certain segments of the business community that view the government as an impediment to their ability to pillage and plunder the American economy, kind of like Enron, Worldcom and GlobalCrossing did early on in the Bush years after government regulations were slashed and like the financial sector did during the latter part of the Bush years right up until the big crash that we are still digging out from under. Why people would want a return to policies that led to these economic disasters in the first place is beyond my comprehension. I can only figure that they have been fed too many lies by talk radio and Fox News and can no longer sort out truth from fiction. Here in this video we see Republican presidential nominee John McCain reverently quoting his hero "Chairman Mao" and acknowledging him as the inspiration for continuing his bid for the presidency. Using Mark Harden/Jonathan Gurwitz standards, this would make McCain and anyone who supported him for president suspect as possible communist dupes.